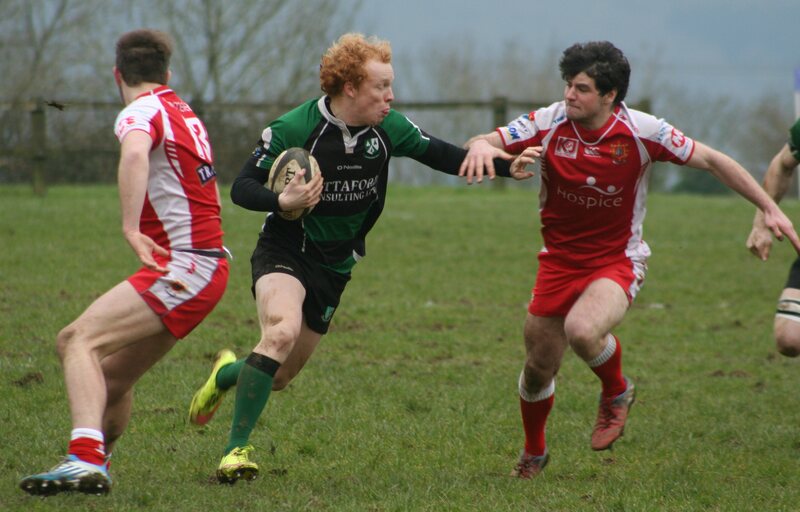 IVYBRIDGE have a mouth-watering treble planned at Cross-in-Hand on Saturday. At 12noon their colts will play Penzance-Newlyn in the National Colts’ Cup before the club’s first and second teams play Devon rivals Barnstaple at 2.30pm. The South West Premier match pits two of the top three in the league against each other. Ivybridge are second in the standings with eight wins out of nine to their name, while Barnstaple, who came down from National Two South last season, are third with seven victories out of nine. “It should be a cracker,” said Tripcony. “We always think our next game is the biggest and this one does have the added bonus of also being a Devon derby. We are very lucky in this league to have so many Devon derbies. “We feel we have prepared fairly well. Training on Tuesday was fairly intense with a bit of an edge and that’s what you want. Ivybridge are waiting on a couple of fitness tests before finalising their team, but Tripcony, who had a spell on loan at Barnstaple earlier in his career, is back in the reckoning after making his comeback from eight months out as a replacement against Old Patesians in their last game. DEVONPORT Services head coach Mike Lewis is relishing the prospect of returning to his former club Launceston on Saturday. Sixth-placed Services will be looking to cause an upset against the league leaders at Polson Bridge, where Lewis was head coach and forwards coach when the Cornish All Blacks were in National Two South. Launceston have since been relegated twice but they regrouped last year and finished third in South West One and are topping the table this term after nine games. 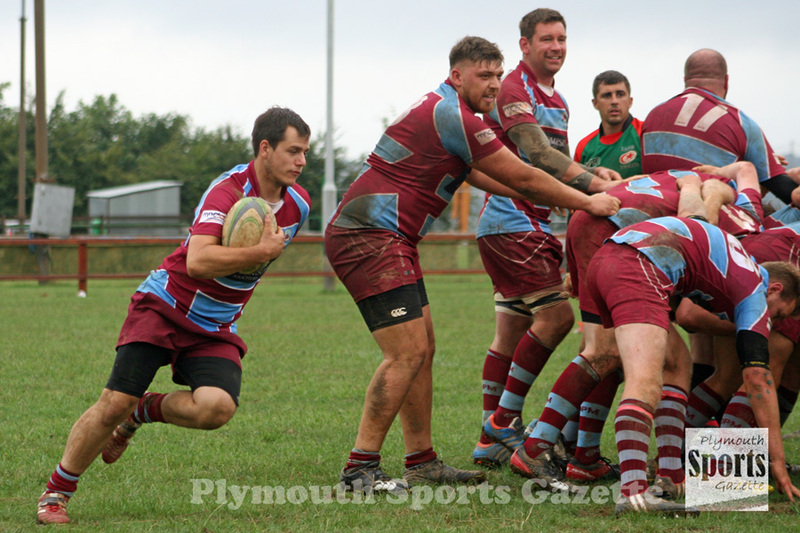 They have only lost once – a 17-10 defeat to second-placed Okehampton. “I am looking forward to it,” said Lewis, ahead of this week’s trip across the Tamar. “This was the first game I looked for on the fixture list. 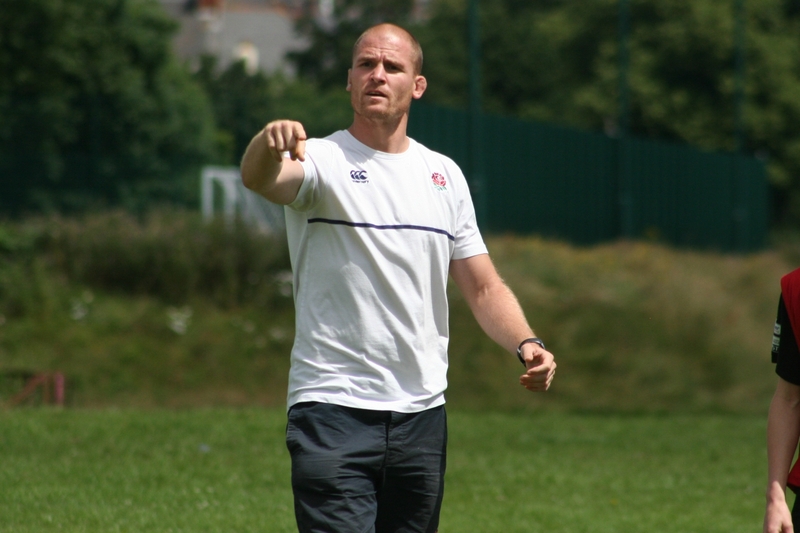 “I made loads of friends there and it is a really good rugby club. It has got bags of potential. It was just unfortunate that at the end of my time things at the club were not going as everyone hoped. Launceston are the league’s top scorers with 344 points from nine games, but they have let in 209 points, which is more than Services. Services have a few front-row issues ahead of their trip to Polson Bridge. Ty Colwill turned his ankle this week, while Jason Stead is still injured and Joe Daley is away. Tony Sibley is likely to be called upon having played the first 25 minutes against Tavistock in the Lockie Cup on Tuesday. Sean Dann could also be in the squad again. Former Tavistock player Mark Friend did come on in Tuesday’s cup game as he makes his comeback from broken ribs, while Richard West is set to have a run-out for Services’ second team this week. But Friend and West are the only two long-term absentees who are close to returning to full fitness. 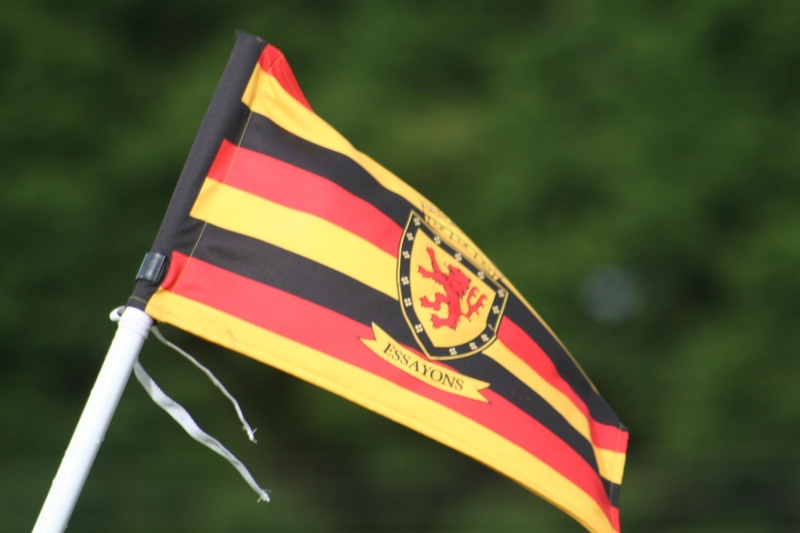 Saltash will be hoping to beat Cornish rivals Falmouth for the second time within five weeks when they host them at Moorlands Lane in Western Counties West. The Ashes narrowly beat Falmouth 32-31 last month in the Cornwall Cup. That started a three-match winning run for Saltash. That ended two weeks ago when they lost 19-8 at high-flying Crediton after conceding two late tries. But Saltash will have taken plenty of positives and belief from pushing unbeaten second-placed team Crediton all the way in east Devon. Falmouth will arrive at Moorlands Lane sitting in fifth spot, with five wins, a draw and three defeats to their name in the league. Saltash dropped down to 12th after their late defeat at Crediton, but they could move back out of the bottom three again if they were to win this weekend. 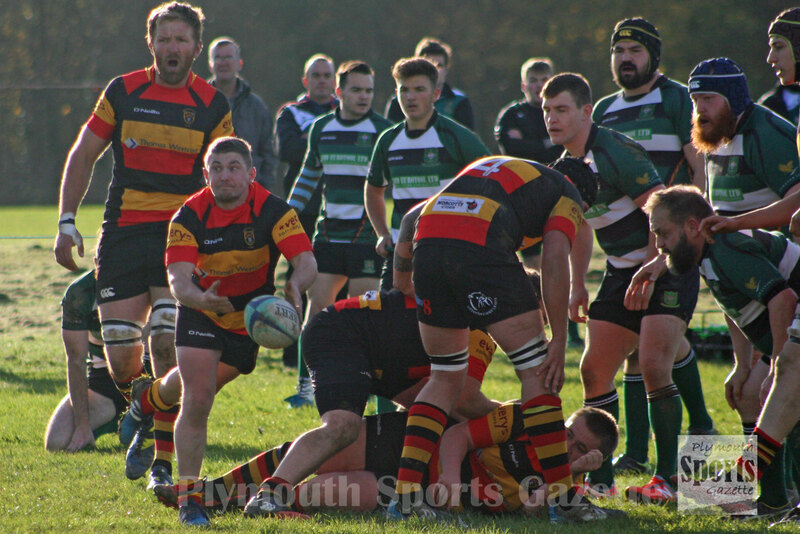 PLYMSTOCK Albion Oaks will be looking to make it a stunning 10 wins out of 10 in the Cornwall/Devon League on Saturday when they host bottom side Hayle at Horsham Fields. Oaks are three points clear of second-placed Bude at the top of the table, with Penryn six points behind them in third. 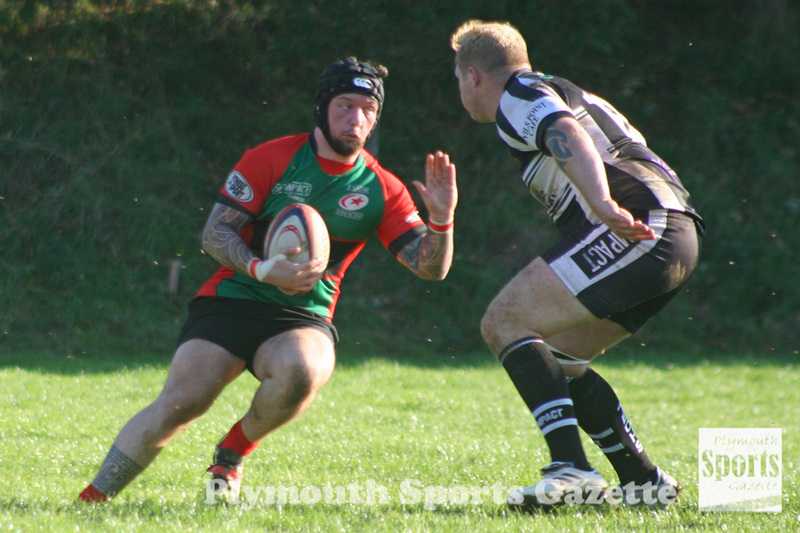 Plymstock will be favourites to beat Hayle, who only have one win to their name this season. However, no-one at Horsham Fields will be taking their Cornish visitors lightly after they beat Argaum 47-21 in their last match. 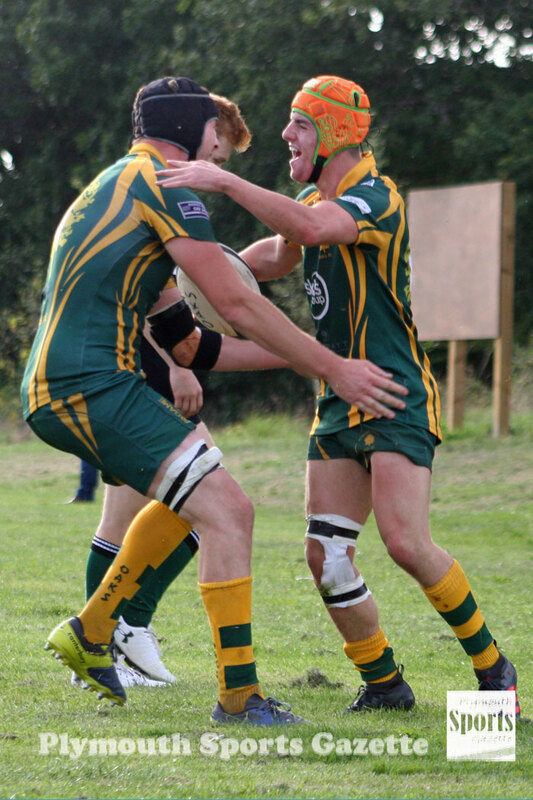 Although they are only taking it one game at a time they will be aware that the following two weeks will be huge for the clubs with matches against Honiton and Bude. If Oaks could win on Saturday they will set a new club record for consecutive league wins. They equalled their previous best since the club was formed in 2007 following a merger of OPOs and Plymstock RFC last time out. They also won nine games in a row in the 2007-08 season when they won promotion from Devon One. Their previous best record in the Cornwall/Devon League was during the 2015-16 campaign when they went eight games unbeaten on the way to finishing fourth. Elsewhere in the Cornwall/Devon League, Plymouth Argaum and Tavistock both have tough home tests. Argaum host fourth-placed Honiton at Bickleigh Down, while Tavistock entertain fifth-placed Torquay. Argaum are still without the likes of Dan James, Joe Walker, Jake Turfery, Mason Edwards, Chris Perkins and Adam Fitzpatrick, as well as last week’s cup hero Dan Smith, but they are boosted by the return of Adam Griffiths and Ryan Chivers. Ethan Howe could also be available for the first time this campaign. They currently sit in eighth place, but there are just seven points separating seventh from 13th. Tavistock lie 12th with just two wins so far this season. Their opponents this weekend, Torquay, are looking to make an immediate return to Western Counties West. However, they currently eight points off a promotion spot after losing to Plymstock Albion, Penryn and Honiton this season. Torquay, though, have had some big wins, including putting 99 points on Hayle and 73 on Argaum, so Tavistock will know they will need to be at their best on Saturday. “Torquay are a bit unknown as we haven’t played them in four seasons and I don’t recognise too many names,” said Hammy Kerswill. Tavistock are able to welcome back Phil Wilson and Joe Hair to the front-row, while Jack Easton and Ethan Lamerton have overcome knocks to start in the backline. Josh Langton and Ant de la Cour return to the bench. Tavistock played Devonport Services IIs in midweek in the Lockie Cup, losing 68-15. TAMAR Saracens, Old Techs and OPMs are all at home in Devon One on Saturday. Sarries are keen to get back to winning ways after losing 28-12 away at Torrington in their last match two weeks ago. In a league where just five points separates fourth form 10th, Saracens dropped to second bottom after that loss. This weekend they play the inconsistent Totnes, who like Sarries have only won twice this term. Totnes also have the second leakiest defence in the division behind bottom side New Cross. “It is back to the drawing board for us again after our loss against Torrington,” said Saracens’ Marc Cioffi. Sarries are able to welcome back vice-captain Ryan Deacon, who got injured in the opening game of the season. They also have fellow centre Blake Smith. Old Techs are just one place above Tamar Saracens with the same number of points. They have been struggling badly with injuries and unavailablities in recent weeks and had to forfeit their Devon Junior Cup quarter-final against Torrington last weekend. “We always try to get a team out,” said Techs’ Shaun Bedford-Smith. “I think in all the time I have been at the club, which is about 22 or 23 years, I only remember us not playing one league game. That was about 12 or 13 years ago and it was a game at Ilfracombe. We always try to play every Devon Cup, Lockie Cup and league game, but our situation just got worse. Techs also had some service personnel away in London last weekend for the Remembrance celebrations. But things are getting better for Techs. They hope to have Matt Simmonds, Jack Courtney and Nick Friend back again for this Saturday’s home game against Buckfastleigh, while they should have more players back next week. Buckfastleigh will arrive at Weston Mill in fourth place, having won four out of their six matches. OPMs should have played in the cup last week against Exeter Athletic, but that match fell foul to the wet weather and is rescheduled for next Saturday. They are also at home this weekend when they welcome Dartmouth to King George V Playing Fields. Just one point separates OPMs and Dartmouth in the table, with the Old Boys sixth and Dartmouth eight. Although Dartmouth have only won two games this season they are the only team outside the top three with a positive points difference. They do have the meanest defence outside the top four. 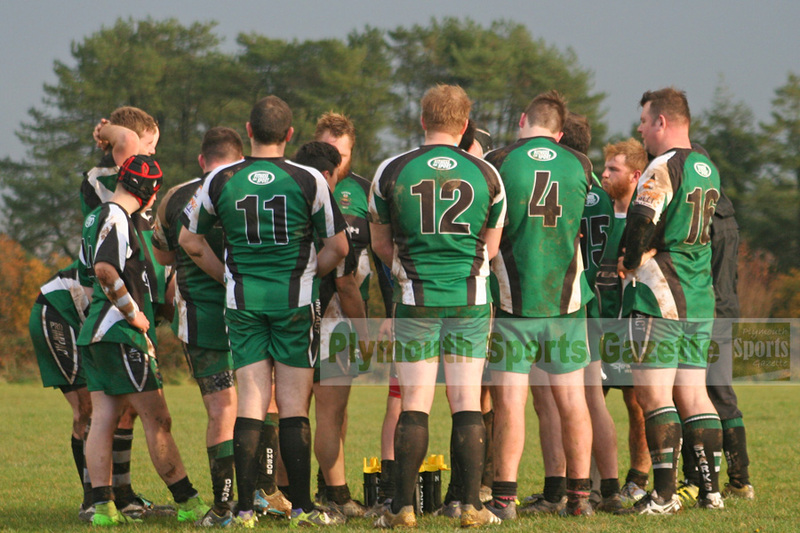 OPMs will be keen to build on their performance against Buckfastleigh in their last game. Although they lost 9-8 to a last-gasp drop-goal they did keep their try line intact and could easily have won the match. Meanwhile, in the Devon Junior Shield semi-finals, DHSOB face a second trip within the space of 14 days to Salcombe. The South Hams club beat them 59-3 in the Devon Merit Table at the start of the month and the Old Boys’ target is to do better this time around.